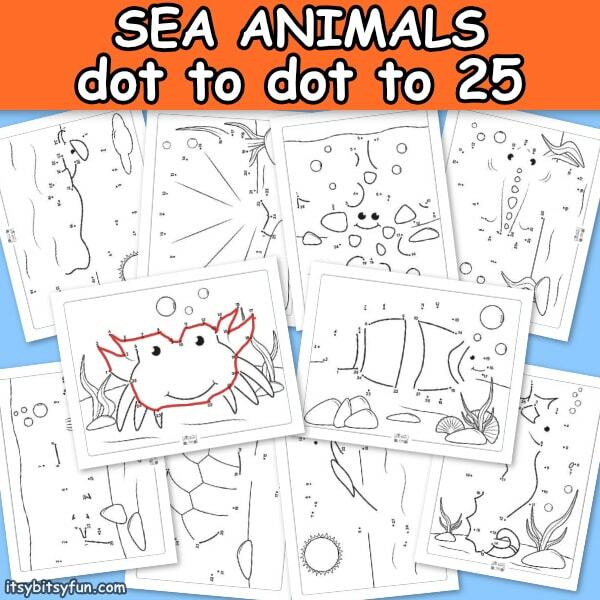 Ocean animals dot to dot worksheets make math or science lessons more fun! 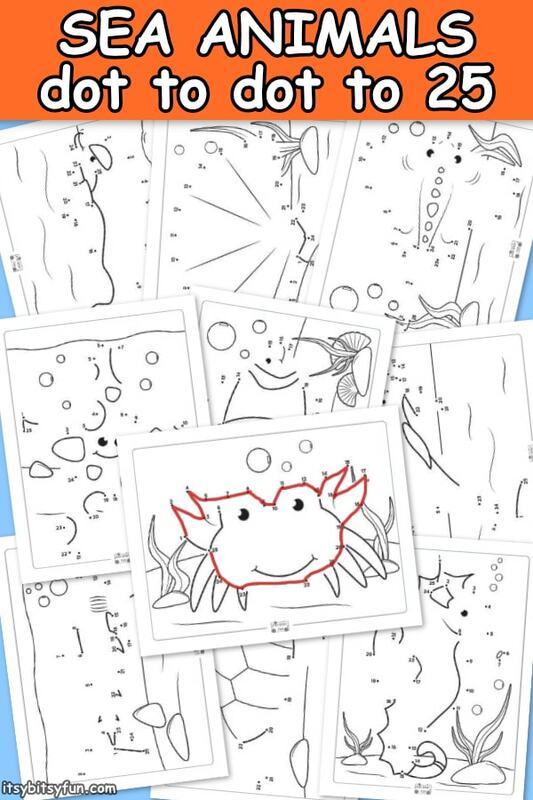 Learning about sea life is always fun and made even better by using these fun connect the dots worksheets. 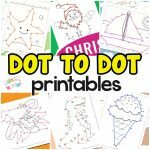 Browse all our connect the dots printables. 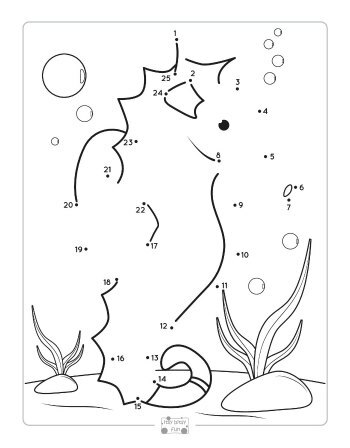 There are 10 different connect the dots worksheets featuring a variety of aquatic life. 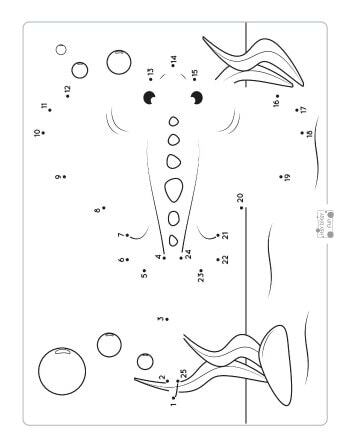 As the children connect the dots they will reveal different animals like a seahorse, sea turtle, crab, and more. 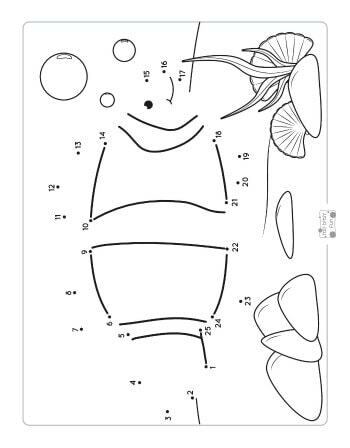 Dot to Dot Printables have multiple benefits. Children don’t realize that they are working on their counting and fine motor skills while learning about the ocean. It’s a triple threat! 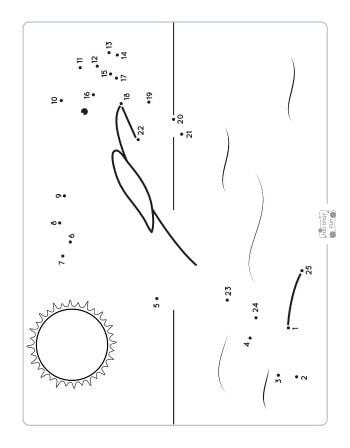 These printable counting worksheets are a fun way to teach counting. Pictures are a great visual way to practice counting concepts. 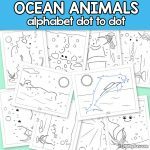 The Ocean Animals Dot to Dot Worksheets can be laminated for multiple uses. 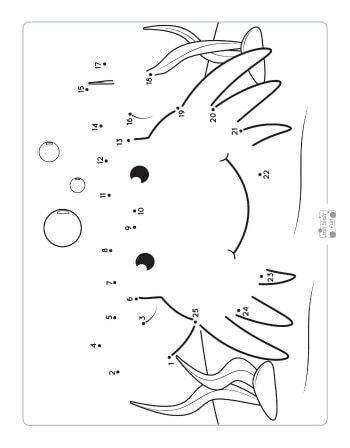 There are 10 different worksheets so each child can have a different page for more variety. A great interactive activity is to have either a plastic animal toy or stuffed animal for each sea creature in the front of the classroom. Read off clues about each animal then have students guess which animal it describes. 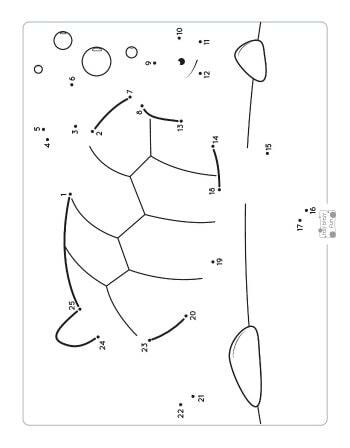 After identifying all of the animals it is time for the worksheets that go along with the lesson. 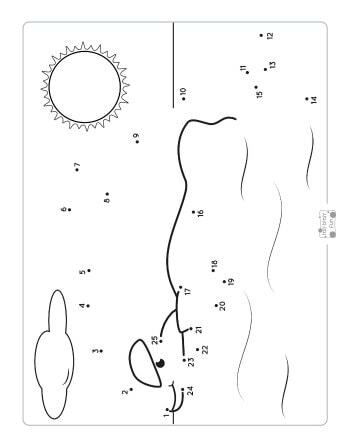 This is a wonderful way to teach science and math with both visual representations of the animals plus a hands-on follow-up activity. 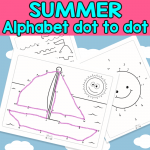 Printable dot-to-dot worksheets are a simple way to reinforce concepts taught in class. 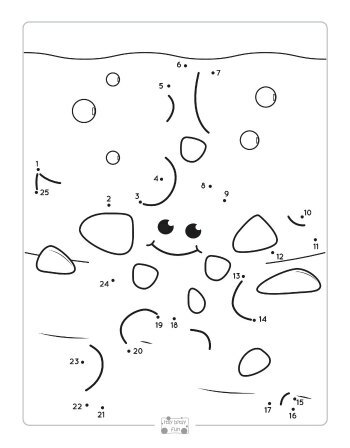 The ocean life theme teaches science and the connecting the dots portion teaches counting. 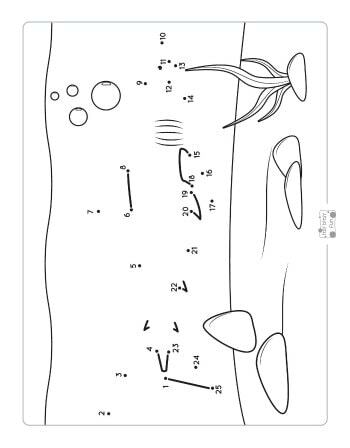 Children will enjoy seeing what hidden creature is in their picture and then coloring the finished result. 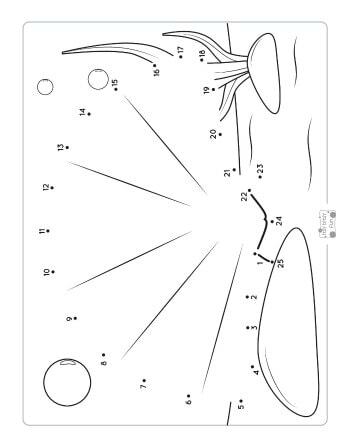 Try these great worksheets to enhance your lesson plan and teach multiple skills! 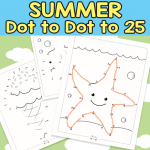 Get your Numbers to 25 – Dot to Dot Worksheet – Ocean Animals Freebie here.